As I went through the list of FiFi Indie nominees, my eyes caught on Hothouse Flower by Ineke as the information was transmitted into my brain which made my hand shoot into the box of samples in my desk drawer. Hothouse Flower was a fragrance I had intended to save for spring, but with its name coming up on the nominees list, I couldn’t help the curiosity. In Bottle: Green and floral, lots of gardenia but smells like dew dappled gardenia. Applied: Hothouse Flower reminds me of days where the rain only lightly mists everything. It’s fresh and green like the smell you get when you pinch a leaf. The gardenia is very present, but it works well with the greenness and the freshness. It’s tame, not crazy or overpowering. I don’t smell much of the tea, but there’s a small mention of incense in the fragrance. The scent ages with a more noticeable cypress but always remains true to that lovely, green gardenia. Very nice, conjures up beautiful images of tall trees, pretty flowers and dew–just the kind of imagery I could fall in love with. Extra: Ineke Ruhland is an independent perfumer operating out of San Fransisco. Hothouse Flower was released in 2012 and found its way to my desk drawer via a friend’s recommendation. Design: Nice, simple packaging. Cylindrical vessel with nice elements etched on glass with a tasteful, equally simple cap. Nothing glaring, nothing too obvious, just plain old good work. 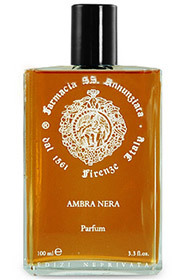 Notes: Earl grey tea, leaves, cypress, gardenia, galbanum, fig, frankincense, guaiac wood, corn silk, musk. After experiencing Hothouse Flower, I want to go out of my way to get more of it thanks to the imagery it inspires. Or, better yet, get my hands on more house samples. Best of luck to Ineke Ruhland in the FiFi awards. Reviewed in This Post: Hothouse Flower, 2012, Eau de Parfum. Houbigant is one of those old perfume houses that made the early 1900s the romantic, complex perfume era that it was. Their fragrance, Raffinée was released in 1982. It was a strong contender in the time of the oriental perfumes. In Bottle: Opens up with spicy and sweet carnation. I love it when carnation is done right and that’s when there’s a little bit of sweetness thrown in there to calm the flower down. I’m delighted to see Raffinée work the floral opening like this. Applied: Spicy sweet carnation on the opening, there’s a floral quality up there that makes Raffinée smell elegant and light. The fragrance heads into the mid-stage dolling itself up with some light florals and a dusting of tuberose while the heavy-hitting incense and smooth vanilla amp up. The spiciness takes on a more fleeting role until the dry down where cinnamon makes a bit of an appearance. There’s a powdery quality to this fragrance that smacks of the clean sharp personality of an aldeyhyde treatment. 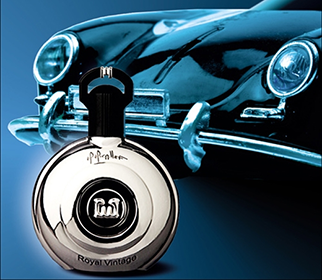 This powderiness remains throughout its lifespan that echoes that clean and classic sensibility of classic perfumery. As Raffinée continues to age it takes on a warm, amber note and a slight bitterness on its way to dry down. The dry down is a pleasantly green, warm cinnamon and vanilla amber fragrance with a bit of woodsiness to round itself off. Raffinée has excellent longevity on me, and its complexity is absolutely fantastic. The projection on me was decent as well. Extra: Raffinée’s been a victim of reformulation to make it less objective and easier to wear. I haven’t yet smelled the reformulation but of the opinions of the reformulation so far, I can’t say I’m in a hurry to. Houbigant was established in Paris in 1775 by Jean-François Houbigant. Nowadays Houbigant. You may see Raffinée listed “by Dana” instead of “by Houbigant”. The House of Houbigant has a long, sad story that saw the fall of a once great fragrance house to what it is now. You can read up about it at Perfume Projects. Design: Unfortunately I was unable to identify an actual vintage bottle to use as a photo and I have yet to actually hold a vintage bottle myself. There’s a ton of different iterations for this fragrance as well which does not help in the least in terms of identifying which style the original formula came in. Adding to this complication is Houbigant’s very sad but very complicated recent history and Raffinée not being as well known as it should be. I would like to take an educated guess but would rather not risk being wrong. The fragrance’s general theme seems to be art deco etched in gold on red which sounds like a tasteful treatment. Of the bottles I looked at, the ones involving the art deco design gave the packaging a bit of old design appeal. Much more interesting that the designs that lacked the art deco elements. If you can help me out with the vintage fragrance’s design, please leave a comment! Notes: Carnation, orange blossom, plum, clary sage, jasmine, citruses, bergamot, rose, mimosa, tuberose, tonka bean, orchid, osmanthus, orris root, hiacynth and ylang-ylang, spices, cypress, sandalwood, cinnamon, musk, vanilla, vetiver, incense. If you do seek out a bottle of Raffinée, I highly–with italics and everything–suggest you look for a vintage formula. And by vintage in this case, I mean its 1980s self to get the full effect of Raffinée. Any later and you may wander into watered-down and reformulated territory. Also be aware that true vintage Raffinée is difficult to find and quite rare (I, myself, have a small decant scraped out of the recesses of obscure fragrance). Many who label the fragrance as “by Houbigant” are actually talking about a newer formulation that should instead by labeled “by Dana”. It’s complicated, I know. I would appreciate any help in identifying a true vintage bottle. Reviewed in This Post: Raffinée, ~1985, Eau de Parfum. Indian Sandalwood used to be a very popular addition to fragrances, and other applications everywhere. So popular, in fact, that the sandalwood tree has become an endangered species. 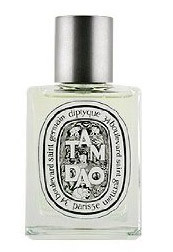 Tam Dao is Diptyques homage to the precious sandalwood tree. 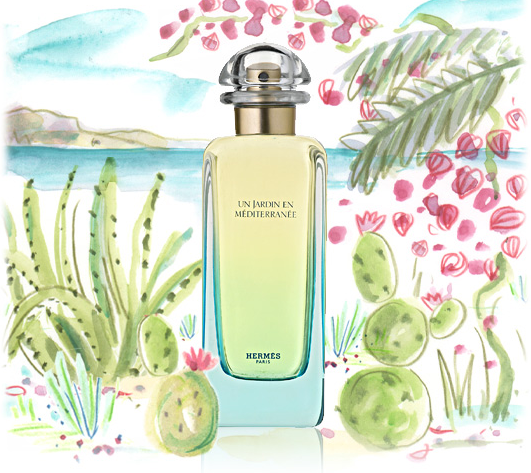 In Bottle: Dry spicy sandalwood with a hint of creaminess and a sharp blare of green floating on top. Applied: Cedar and greenness with a mild hint of sandalwood coming through. The greenness adds a rather jarring experience but it’s a quick fader and it helps with the mid-stage where the spiciness and dry sandalwood shines a bit more. This is a pure, nicely done sandalwood scent. It has a nice and deep aroma to it, a very familiar scent thanks to how much sandalwood is featured in fragrances but I have to admit my disappointment that the scent doesn’t do much else but sit at sandalwood. I can appreciate it for its simplicity though as its focus is to remain simple and pure and present the wearer with a sense of calmness in a dry, spicy, amber-suspended sandalwood fragrance. Extra: Often you’d think people illegally hunting animals when you hear the word, ‘poaching’. But poaching happens to trees too like the sandalwood. Design: Bottled in the typical square-ish Diptyque style. That is a square glass bottle with a metal cap. The cap slides off rather nicely, the sprayer works just fine. I’m a big fan of the uniform and simple-looking Diptyque labels which often remind me of a mixture of art deco and woodcuts. Notes: Goa sandalwood, rosewood, cypress, ambergris. Tam Dao’s longevity was a bit weak for my liking, fading within five hours. It’s a decent time period but I did expect a bit more from a woods-based fragrance. Reviewed in This Post: Tam Dao, 2007, Eau de Toilette.